and Supporting and empowering coaches to take their skills to transform their clients and grow their practices. 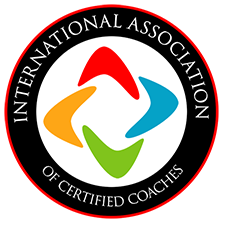 The trust and primary responsibility of IACC is given to representing and honoring affiliated coaches’ international standing, in addition to maintaining accurate records in relation to the current status of both the affiliated schools of coach training and those coaches who choose to affiliate with us. Secondly, by providing a thorough program accreditation process, the IACC contributes to the worldwide development of coaching, ensuring that all coach-specific training meets our high standards. Coach training programs provided by the accreditation process offer those who enter them a competitive edge, knowing that both the structure and content meet strict guidelines.